The University of Alicante Faculty of Arts (building 2) hosts IBERFAULT, the 3rd Iberian Conference on Active Faults and Paleoseismology from 11 to 13 June 2018. This initiative of the Spanish scientific community in the field of geology brings together more than 75 experts from all the working groups on the Iberian Peninsula as well as international experts such as American Christopher DuRoss and Miles Wilson, from the University of Durham, UK. The meeting includes 80 works, three lectures, a discussion forum and a two-day field trip in the north of the province of Alicante and south of Valencia where the earthquake of Estubeny took place in 1748, giving great cause of concern. "The study of active faults and earthquakes is essential since they are one of the natural hazards that historically have caused more human losses and significant material damage in the region of Valencia and, particularly, in the province of Alicante", the organising committee pointed out. As a matter of fact, Torrevieja underwent one of the most devastating seismic events in our country in 1829, with an estimated magnitude of around 6.5. Also, the earthquake that occurred in Lorca in May 2011 showed that even events with magnitudes of magnitude 5.2 can cause lives lost and a few hundreds of millions of euros in terms of economic losses, as well as great social concern. "Seismic events such as those that occurred off the coast of Castellón and Tarragona, in the vicinity of the CASTOR project facilities, also show the great economic impact of these natural phenomena," they added. The conference will be presented on Monday 11 June at 8:30 am in the UA Faculty of Arts (block II) Assembly Hall by Vice President for Research and Knowledge Transfer Amparo Navarro, Alicante Emergencies representative Jaume Lloret, Faculty of Sciences Dean Luis Gras and Director of UA Department of Earth and Environmental Sciences José Miguel Andreu. IBERFAULT was held for the first time in Sigüenza (Guadalajara) in 2010, which brought together more than 100 experts in active faults. Four years later, in 2014, the second meeting was held in Lorca (Murcia) due to the earthquake that occurred three years earlier. 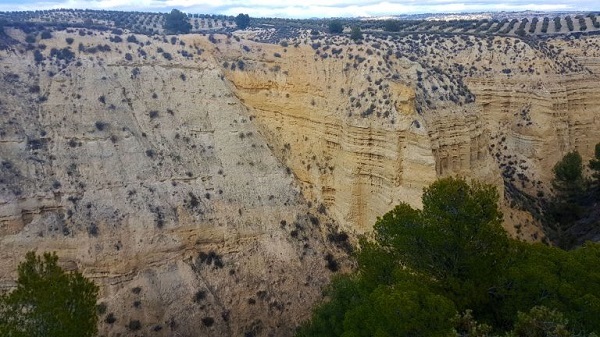 On this occasion, the University of Alicante has been the chosen venue to hold the 3rd Iberian Meeting on Active Faults and Paleoseismology (IBERFAULT 2018), which in June 2018 has brought together nearly a hundred experts who will present the latest scientific developments in the study of active faults in the Iberian Peninsula.